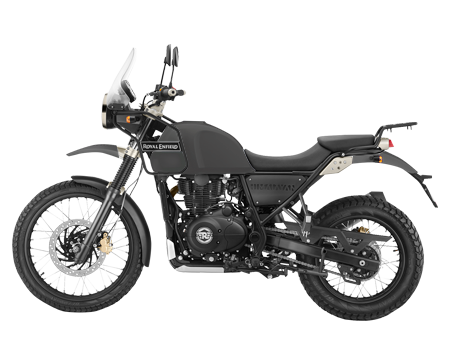 Royal enfeild himalayan is a new off-road model bike launched by royal enfeild. Freshly developed engine, friendly riding position and good ergonomics sit at the crux of this product. Royal Enfield has been very radical for the development of this 411cc, SOHC, Single-cylinder engine that is capable of producing a maximum power of 24.5bhp at 6,000rpm and a peak torque of 32Nm at 4,000rpm – 4,500rpm. 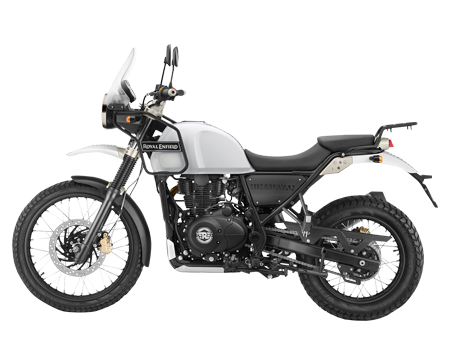 Himalayan also features the monoshock suspension that makes it the only bike from Royal Enfield to have such feature. Other features include freshly made instrumental console that has two trip meters, compass and an altimeter. Tyres Fr. 90/90 - 21"
Tyres Rr. 120/90 - 17"